Click the tabs for various product warranties. Standard Transmission & Gear will warrant our products, as defined below against defects in material and workmanship for 12 months/12.000 miles from the date of purchase. This is a limited warranty and requires responsible action on the part of the purchaser. The purchaser of our product is the only party to which we will be held responsible for warranty service. We reserve the right to repair or replace the product or refund purchase price. Our products are defined as any assembly that we have repaired or rebuilt to our specifications. Units are shipped dry; you must fill the unit with the proper type and amount of oil. It is the responsibility of the purchaser & the end user to keep oil in the unit. We can repair a leaky unit under warranty, be we cannot repair unit that has been burned up due to a leak! There will be absolutely no exceptions! Purchaser must present the certificate received at purchase for warranty claims. If the product you purchased seems to be having problems, please call us before taking any action so that we might help in determining the problem. Please note that we strive to offer you a product that will give you substantial service. If the occasion arises that we need to extend warranty service to you, be assured that your satisfaction is our ultimate goal. 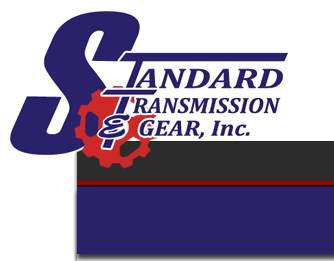 At Standard Transmission & Gear, we value your business and believe customer service is the key to a lasting relationship.